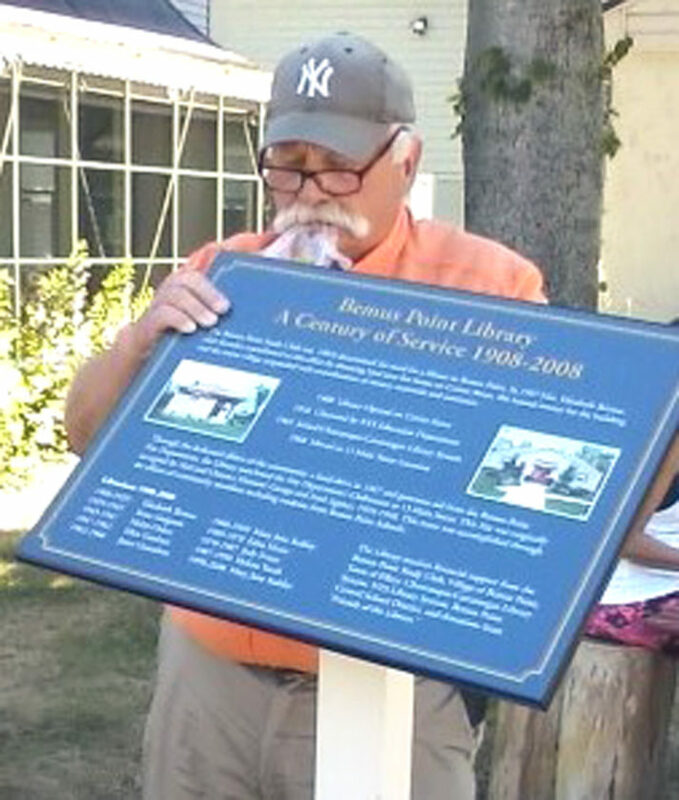 BEMUS POINT — In 2008, a plaque was created to celebrate 100 years of service for the Bemus Point Library. The sign described the rich history of the library, but over the years the sign became weathered and faded and needed to be replaced. 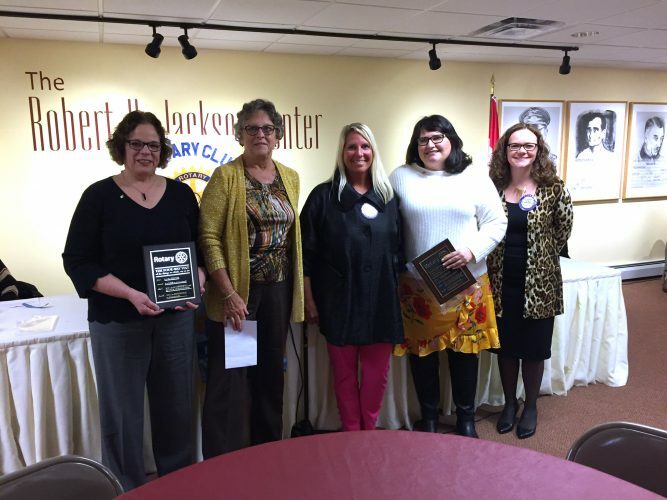 A grant from the Chautauqua Region Community Foundation paid for the sign to be replaced. The plaque describes how in 1907 Elizabeth Bemus donated the land for the first library on Center Street. She also loaned the money for the building which resulted in the entire village responding with contributions of money, materials and assistance. The library opened in 1908 with Mrs. Bemus as its first librarian. In 1968 the Bemus Point Library moved to its current location at 13 Main St.